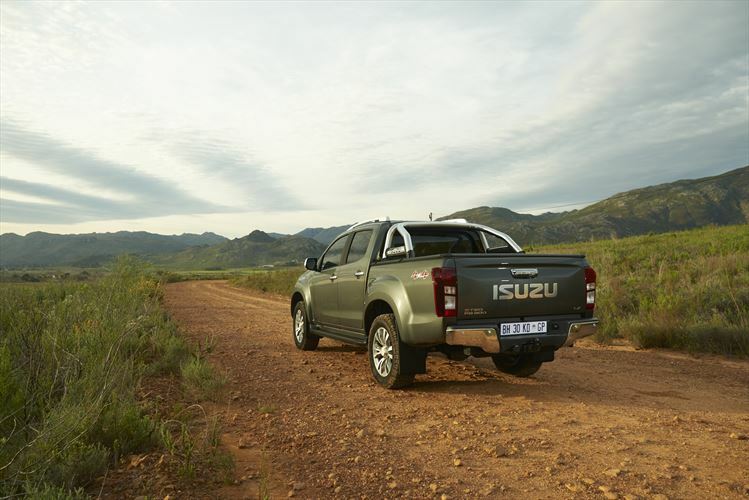 General Motors South Africa is rolling out the sixth-generation Isuzu KB, bringing the fresh new face of one of the region’s most beloved trucks to customers at long last. “The new KB looks a lot sleeker and streamlined with a new instrumentation cluster design and improved sound system while maintaining all the key Isuzu characteristics we have come to love. In addition to the new look, 3.0-liter 4×4 LX Double Cab customers will benefit from additional value as these models now come standard with a towbar, sportsbar, roofrails, and power-adjustable leather seats,” says Brian Olson, Vice President Vehicle Sales, Service, and Marketing, General Motors Sub-Saharan Africa. The 2016 Isuzu KB features a new front fascia that includes new fog lamps, bonnet, radiator grille, and projector headlamps with integrated LED DRL for LX models. Extended and double cab models also receive a revamped tailgate, and LX double cab models add a tailgate handle-integrated rearview camera. Additional features include 18-inch alloy wheels for LX models and 16-inch wheels for the rest of the lineup. The LX model will also feature a 6.5-inch touchscreen infotainment system that includes satnav, internet, built-in Wi-Fi, and smartphone integration. LX double cab models will receive a standard passive entry and start system, and all 4×4 double cabs will come standard with leather interior. Performance-wise, the 2016 Isuzu KB is offered with a 3.0-liter DTEQ turbodiesel or a 2.5-liter DTEQ common-rail direct injection turbodiesel, which dole out 130 kW (174 horsepower) and 380 Nm (280 lb-ft of torque) and 100 kW (136 horsepower) and 320 Nm (236 lb-ft of torque). Other enhancements include new front and rear dampers for Hi-Rider 4×2 models and rear dampers for 4x4s.